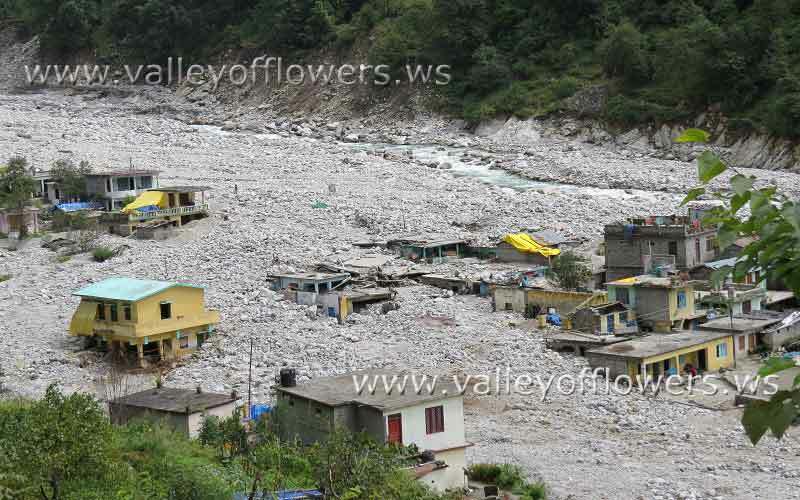 Valley of flowers after floods in Uttrakhand - Valley of flowers. 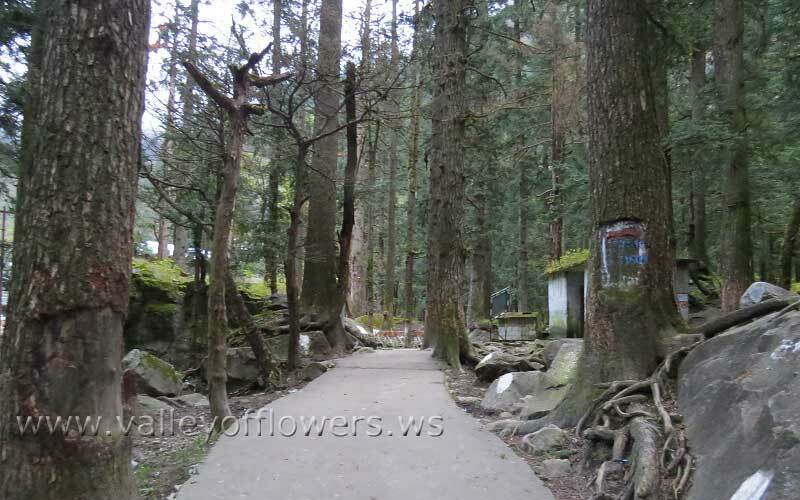 But fortunately the flowering area of the Valley of Flowers is totally intact. 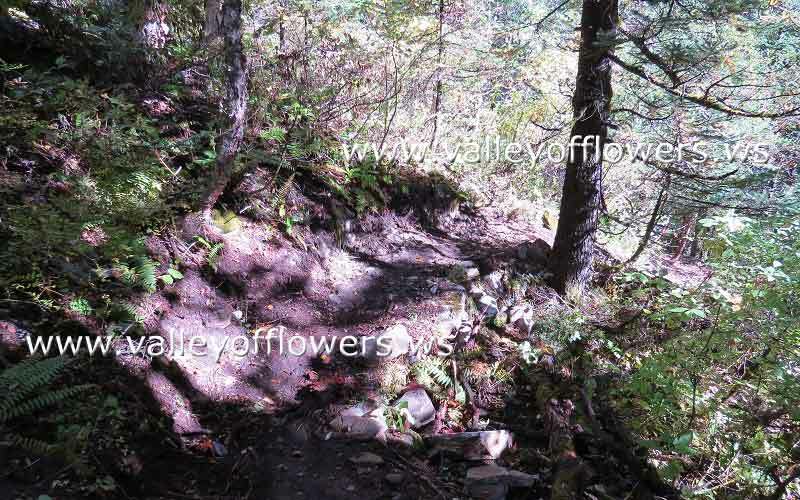 This post is totally an authenticated document as I went personally to the Valley of Flowers after the floods (I went in first week of October, 2013) and the pictures in this post are proof of the same. 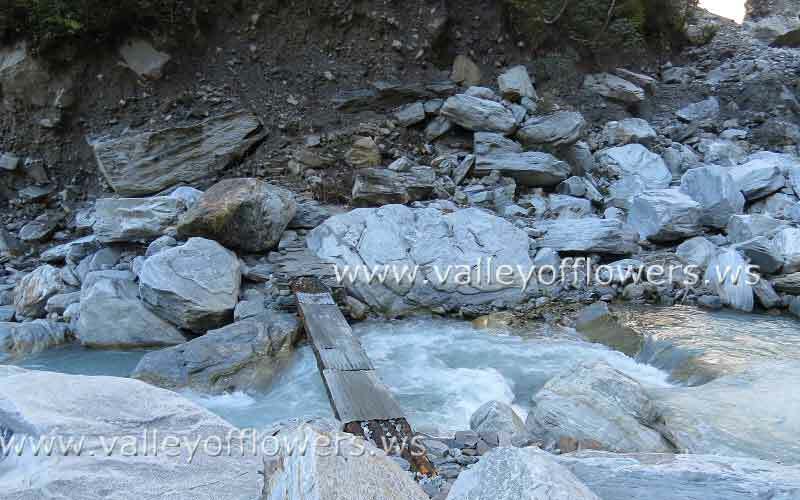 Watch following video of the Valley of Flowers after the floods. You can see that the flowering area is totally intact. I went up to Govindghat earlier also after the floods so the pictures of Govindghat were already put in my earlier posts. 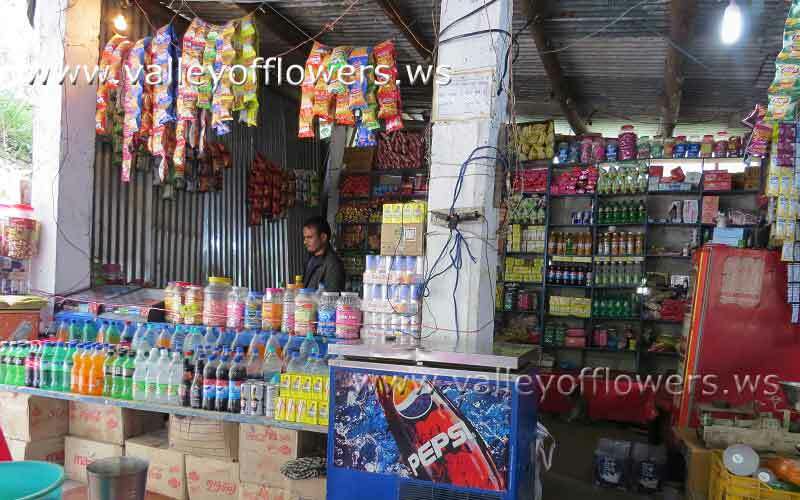 As I started my trekking with Mr. Raghuveer Chauhan I saw this shop at Govindghat. Life has started to normalize for some locals. Govindghat bridge at Alaknanda.Old Iron bridge at Alaknanda can be seen in the river. This was washed off by the river during the floods. Soon I crossed over this bridge over Alaknanda. And we started our trek to Ghangaria. The trek was intact in the starting and we could see few pilgrims going to Hemkund Sahib. The number was really very less. After trekking for about three kilometers I was keen to see Village Pulna as I have seen its pictures after the floods. I was very shocked the village. Mr. Raghuveer Chauhan is a local guy and I saw me his house also. His house was full of boulders up to first floor. Some of the locals have cleared their homes and started living in them. Between Pulna and Bhyuandar the trek was broken at 4-5 places and a new diverted trek was built. But after seeing the site of Bhyuandar village I was totally shocked as now there was not a single house at all. All of the houses were washed off by floods in June. 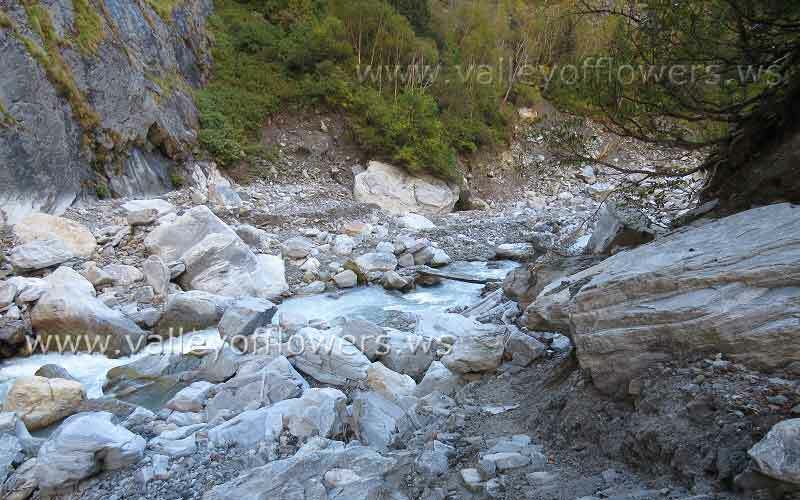 The old trek right from Village Bhyuandar and the point of crossing river Pushpawati was totally washed off (3 Kilometers). So the authorities made a bridge at Bhyuandar Village itself and the trek now is from the other side of the river and it meets the old trek after 3 kilometers. New trek is nicely made and safe but unfortunately people started putting plastic bottles before authorities could put dustbins. I was very sad seeing this. Pulna village after the floods in Uttrakhand. At least one floor of most of the houses in under stones. Govindghat to Ghangraria. Apples on the way. Pilgrims using ponies between Govindghat to Ghangraria. Govindghat to Ghangraria, shops on the way. By evening I reached Ghangaria Village, I realized that the trek between Govindghat and Ghangaria is now increased by at least 2 kilometers. So you can safely assume the distance between Govindghat and Ghangaria is 16 kilometers instead of 14 kilometers earlier. Next day morning I was keen to visit Valley of Flowers and see the amount of damage done to Valley of Flowers after the floods. I and Mr. Raghuveer Chauhan started early and there was no one else except us in the valley. I was shocked to see the power of water as a huge Iron bridge is missing on Pushpawati River and not only the bridge the river has widened its bed but now it was a small stream. We crossed over the Pushpawati river using a temporary wooden bridge. The old trek of some 300 meters was also not accessible so there was a new raw trek after the bridge, which met the old trek soon. The temporary trek was made after that. 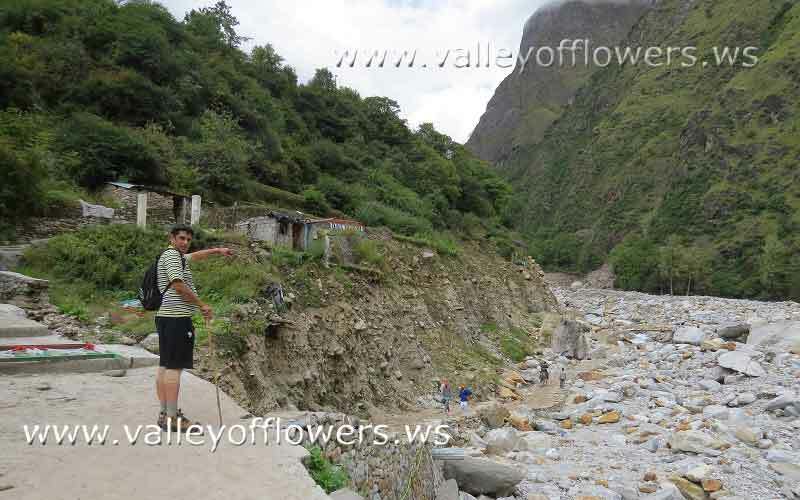 The damage to the Valley of Flowers in floods is limited to the damage to trek to Valley of Flowers only. 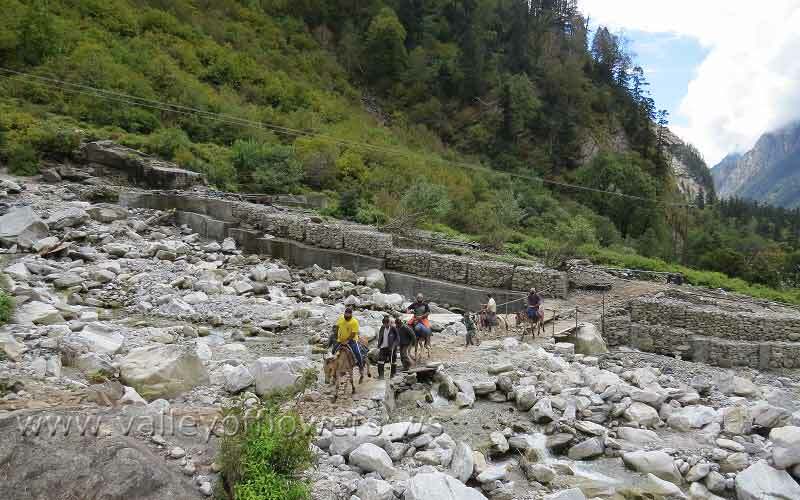 The trek was damaged for next 1.5 kilometers and a very raw trek was made after that. 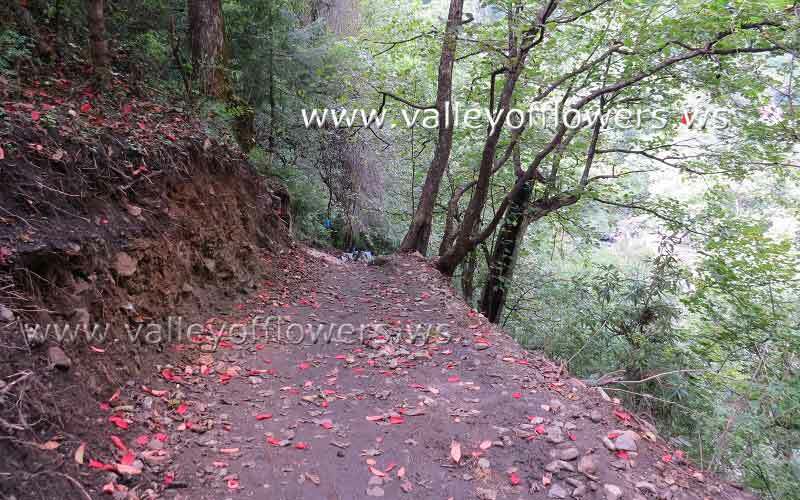 Following are some of the pictures of Valley of Flowers after the floods in Uttrakhand, taken by us. 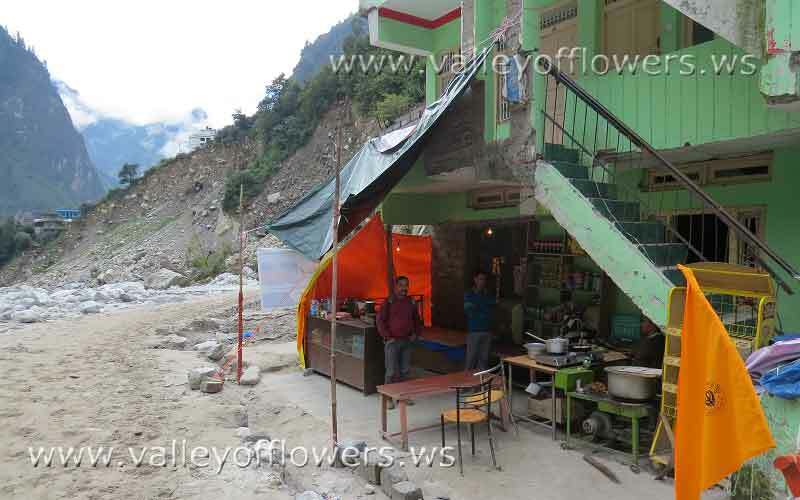 These pictures clearly show that the flowering area is totally intact in the Valley of Flowers after the floods. Seeing this we were very happy. 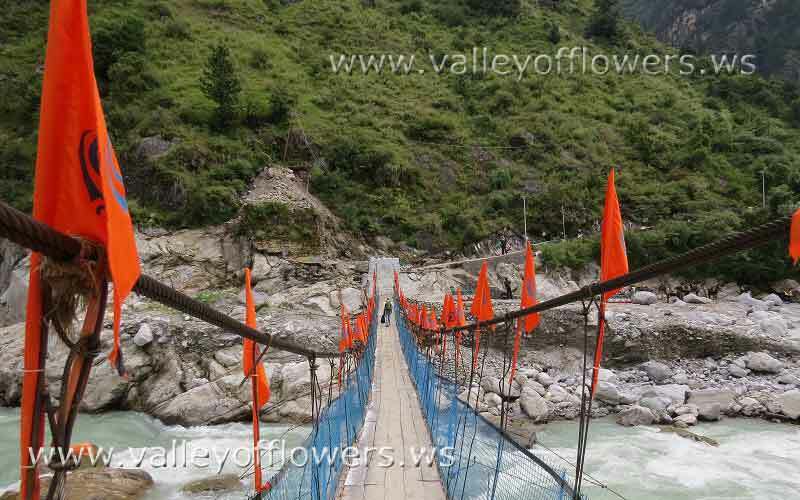 Valley of Flowers after floods, New Bridge on Pushpawati river near the entry gate. 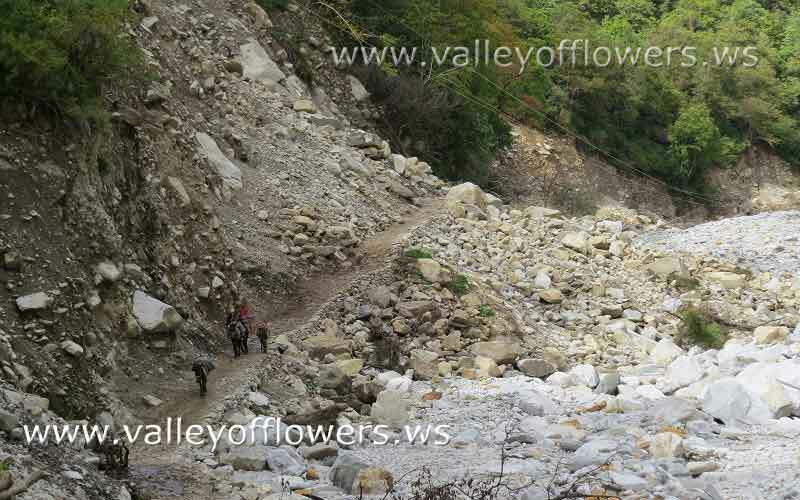 Valley of Flowers after floods – Trek is damaged, this is newly constructed make shift trek. Next year the trek would be good one. 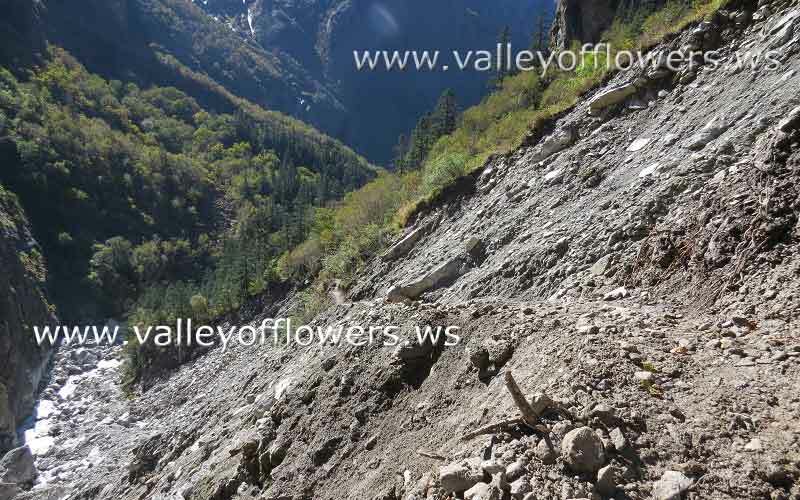 Valley of Flowers after floods – Near the official starting point. Valley of Flowers after floods – Glacier point, Here used to be a huge glacier up month of July. I went to Hemkund Sahib also next day. 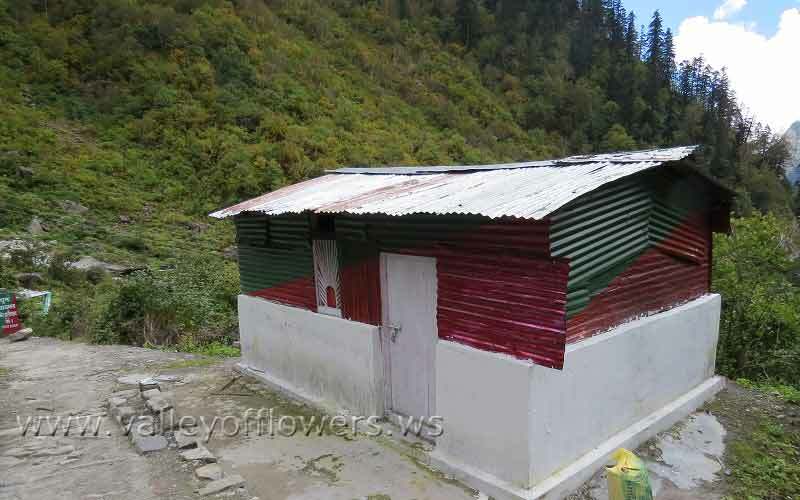 There was no damage to the trek to Hemkund Sahib. As the season for the flowers was already over, I could see very less flowers. But I saw Neelkanth Peak from Hemkund Sahib. 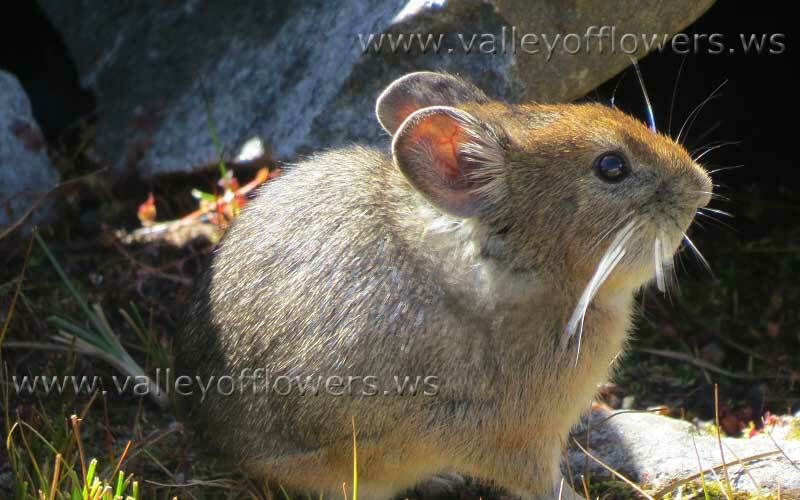 I also saw a tailless rat at Hemkund Sahib. After seeing the damage by floods I thought the reason for the damage. I think if the same amount of rain would have come in July or any later date the damage would have been less. The reason behind this is that in the month of June the higher peaks have lot of snow and huge glaciers. This snow melts gradually and gives water to the river Ganges. But on 16th June, 2013 the heavy rainfall caused sudden melting of the snow and Glaciers causing exponential growth in the amount of water in the rivers. For example you can see glacier in the below image. This glacier would have melted in few hours to cause the flood. 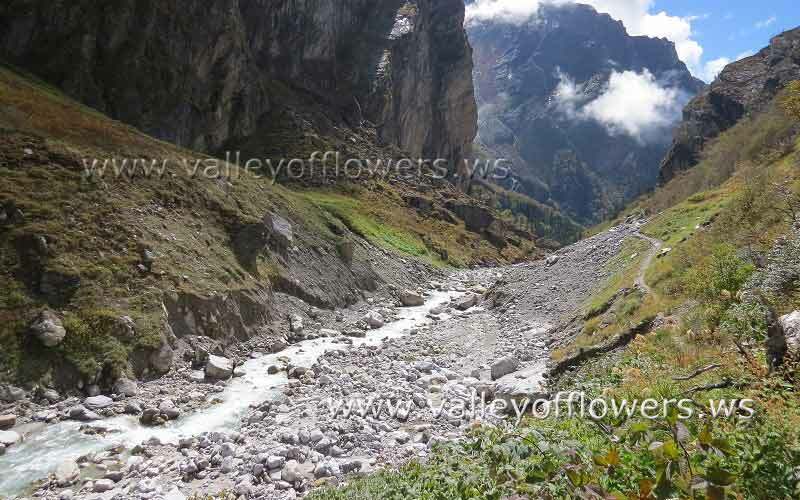 So good news is that the Valley of Flowers is intact and we can visit this true wonder of nature next year. we are planing o vist in he monh of Sep . 2015. pleasse advise good dates to vist. 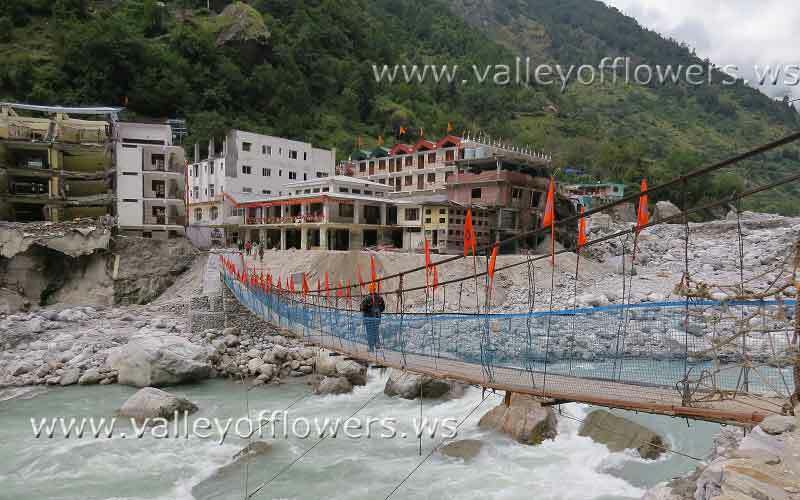 Any latest update for Valley of Flowers bridge reconstruction? I am planning for a trip during 15th August. Are all the bridges built up now? Can you please update? I saw your last comment only in June. Any update on the Valley of Flowers? Has it opened up now? 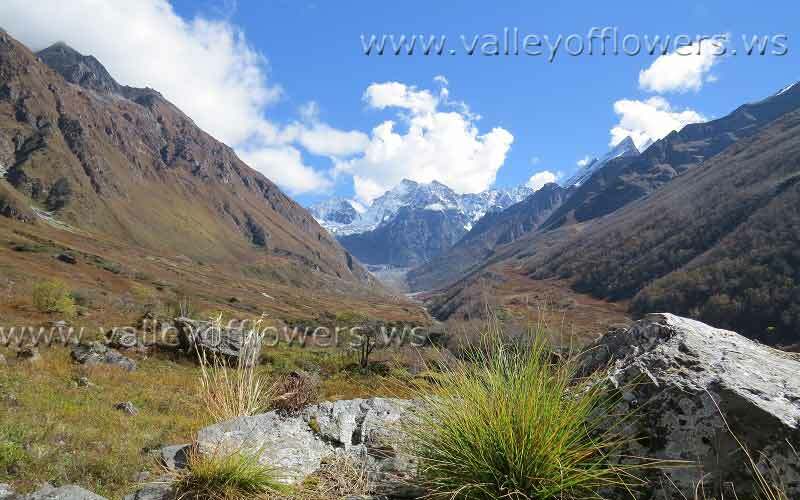 Visit Valley of Flowers opened in 2014 page. Thank you for the update on Valley of Flowers. 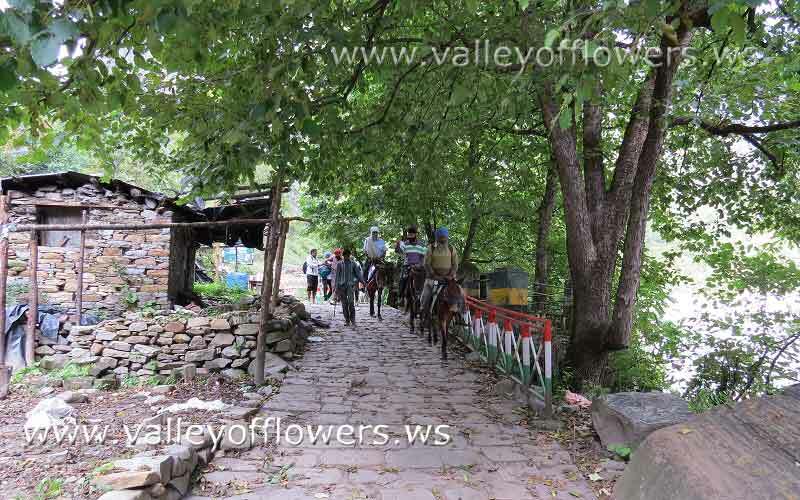 I am interested in visiting the place this season, but came to know that tourist entries to the valley have been banned by the authorities, as also the heavy rains on 1-2 July 2014 have washed away the access routes. It would be great to know any further update. 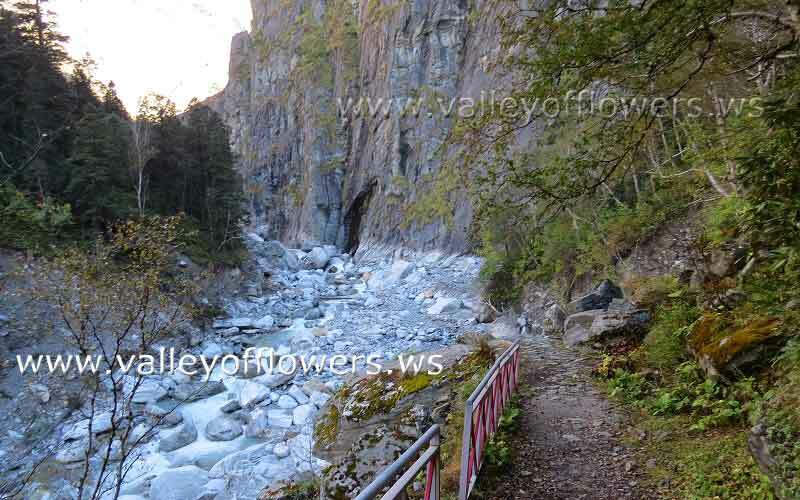 Kindly visit Valley of Flowers opened in 2014 page. Brother,Thanks for the heroic journey in getting us some ground reality of this beautiful state.. I along with a few of my friends will visit Valley of Flowers around july 19.As i followed your blog,you stated that the bridge will be completed by june end?..according to the latest update with you,is the constrution nearly completed?.. Yes, the construction is nearly complete. In fact the total work should not take more then one month in total if done in a planned way. Thanks for your blog, i have already plan for the trip this year, reaching Haridwar from kolkata on 26th july, will proceed Govindghat on 27th. on 28th planning to take ponny to Ghangoria. 29th VoF and 30th HemKund Shahib.31st back to Govindghat. 1 aug back to haridwar.Can you suggest good hotel at Govinghat and Ghangoria? Most of the hotels at Govindghat are washed off in 2013 floods, in Ghangaria you can get only budget hotels. If you want to book a hotel at Ghangaria you can talk to me. Hi, probably I’ve already asked something direcly to another mail. But now, after reading news on TOI about the valley, I’m in doubt for a dear friend of mine that would like to visit the Valley of Flowers. After the Kedarnath tragedy, all rebuilding efforts focused on the Char Dham and Hemkund Sahib, and the Uttarakhand government made no effort to reconstruct the bridge. 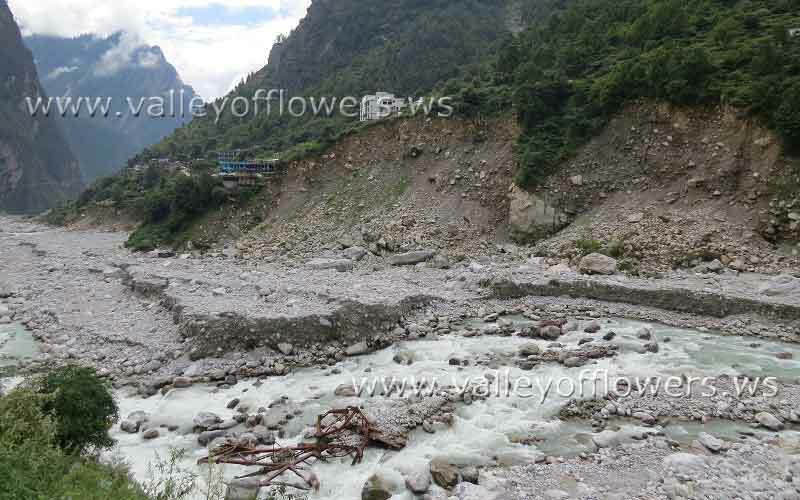 “The Valley of Flowers will not be open for tourists because there is no connectivity. The bridge at Ghangaria has not been rebuilt yet,” said BK Gangte, director of the NDNP. ————-since the flood, as the whole area has remained inaccessible. ……………….. the PWD will soon start work on the bridge,” a state government official said. But in your blog I’ve seen pic, the valley is ok. sure the trip will be less confortable than before, but the landscape worth it. The Bridge will be constricted by this month end. 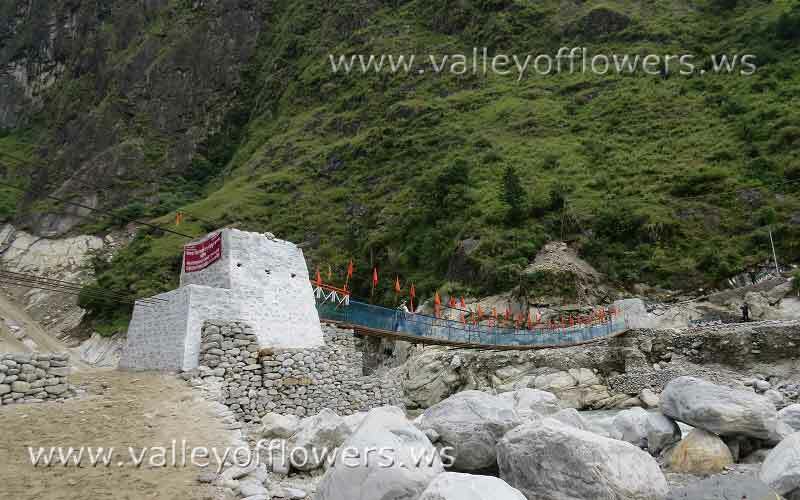 We hope the Valley of Flowers opens in July first week. In view of the news report would the VoF be accessible this year. The bridge is already under construction, as per PWD officials it will be completed by 25th June. Hi, I am planning a trip to Valley of Flowers in month of August. I was not sure of taking this trip post the floods but after going through your post, feeling positive about the trip. Also, can you share your inputs on the road trip to reach Ghangaria from Rishikesh and is the trek safe as you mentioned few paths are washed away and new ones are getting constructed. Thanks a lot for your post and your inputs on the trip will come handy. 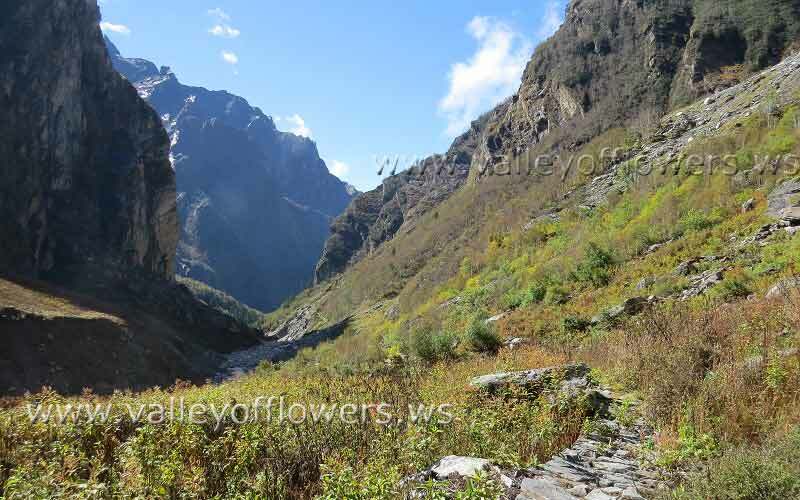 Can i visit Valley of Flowers in the first week of OCtober-14, will it be closed by that time??? i can’t take longer leaves and that would be most suitable time for me to take leaves for 4,5 days…Pls suggest me…??? 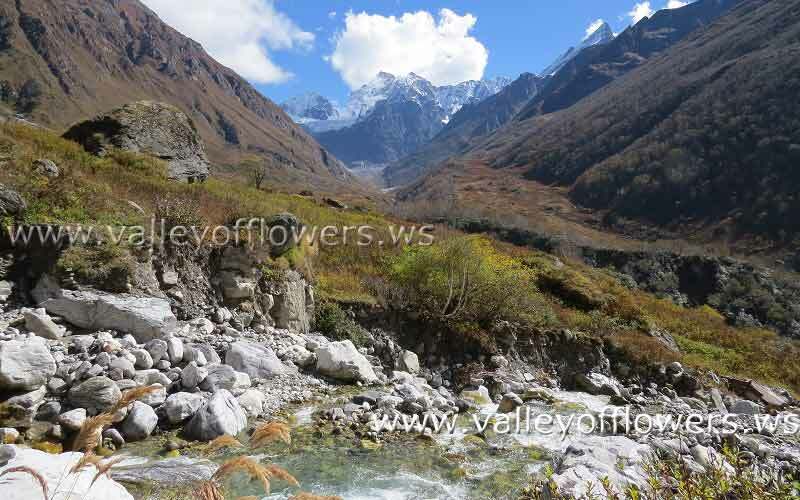 Valley of Flowers will be open till 4th October, 2014. you can visit during that time. thank you for the informative blog. I wish to visit the valley in July This year. I will be in touch with you to see how we can do it with you. Is there car parking space at Govind Ghat. What are the good hotels at Govind Ghat and Ghangharia? I plan to drive down to Govind Ghat, spend two days in Valley and one day in Hemkunt Sahib and then drive to Kedarnath. Parking space is available at Govindghat. First advice is that do not take your own vehicle for this trip as driving and then trekking will be too tiring. You can go through this website for all tips and information. Keep at least 2-3 days buffer with your for this trip. nice and beautiful pictures. thanks a lot for your very informative blog. 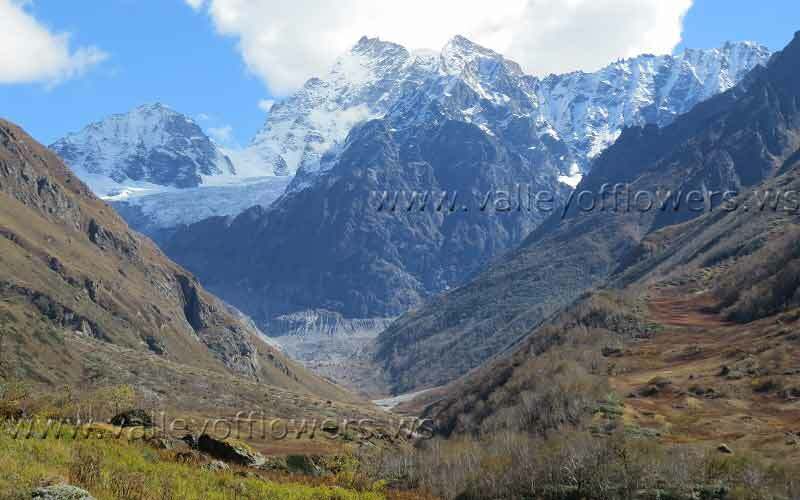 this year, we have planned to trek and visit Valley of Flowers during first week of July 2014. is it ok? can we see flowers and will there be heavy rain during that time. Yes it is a good time to visit the valley. All the best for the trip. As my plan of visiting the Valley of Flowers was cancelled due to the flood last year and after reading your posts i cannot wait to see the place; so planning for the same in August 2014. Thanks Subra, All the best for this year. You will see lot of flowers and big size Glaciers too. 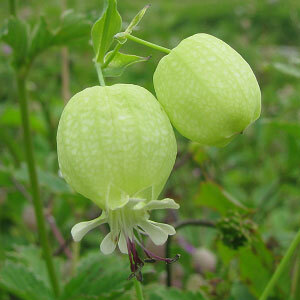 You will see lot of Golden Lilies, Anemone Tetra Sepla and Geraniums. All the best. 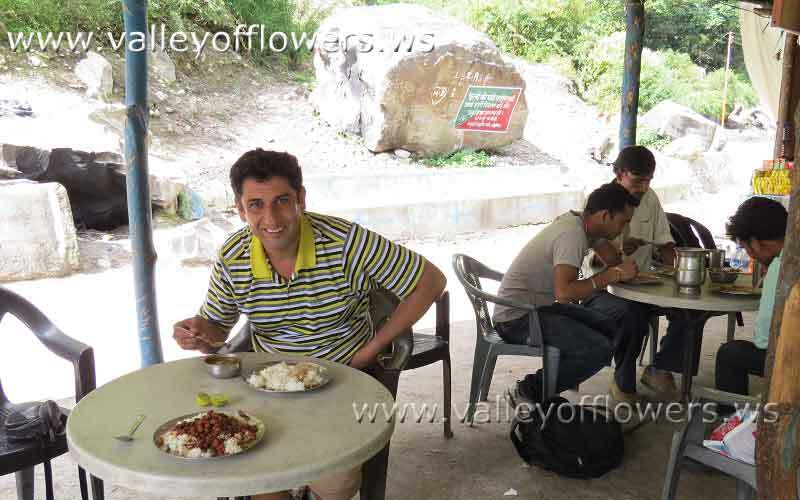 I came to know about the Valley of Flowers only recently through an old serie of outlook traveller. i was fascinated by the article. And i found your blog very helpful. I want to do the trek someday. Hope i could make it. I have a keen interest to visit Valley of Flowers. Have been reading about it for quite long and had been excited from childhood memories of a photograph of the valley. It was half bloom and yet the beauty was such that it is still afresh in my mind. But however, I am a but disappointed from the snaps of your blog. Is it that the flowers are becoming a victim of pollution cause the density seems to be lesser in the pictures. Forgive me if I am wrong on this. Would be visiting the valley this year. Till then .. adios. Fortunately the valley is not affected by the pollution till date. These pictures on this page are taken in first week of October and by this time the plants mature and almost all of the flowers become seeds. 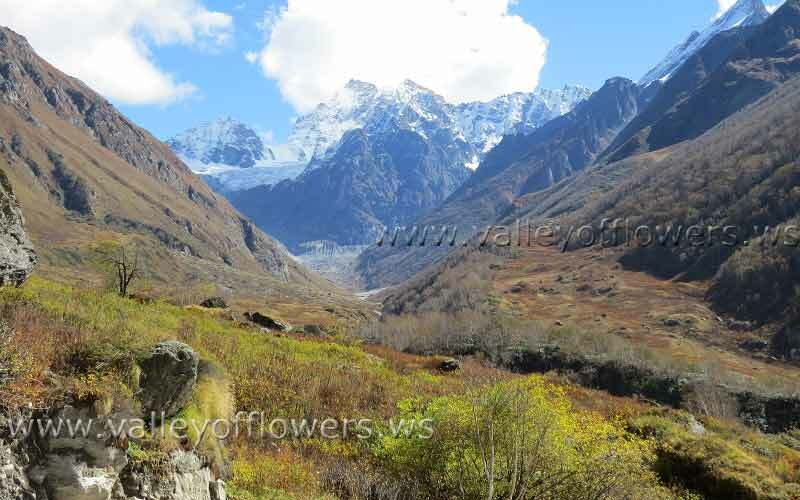 Please see our deeper parts Gallery page and best time to visit Valley of Flowers to know the timing of flowers in the Valley. All the best for your upcoming trip to the Valley of Flowers. If I am of any help to you please let me know. I will be glad to help you. Me and my wife had been to Valley of Flowers last July 2012, thank you for your blog and latest situation in Valley of Flowers after flood. hello Devkant ji.. I was very curious to know about the Valley..thanks a lot for sharing with us.. even I am more happy to know about website..I really appreciate your efforts and interest..I have been there last year..June 2012. through your pictures I really knowing that how strong the flood was… that iron made bride on pushpawati was really strong.. definitely try to go next year.. Yes flood was really very heavy, you must have seen Glaciers in the Valley of Flowers and on that day when flood happened, those Glaciers melted in a matter of few hours causing devastating flood. But fortunately the main valley is alright. All the best for next year. It’s a great pleasure to find that the Valley’s flowering area is intact… and few new treks are prepared to go to Valley area. It will be a really great privilege to visit valley in next season. Nice to hear from you, keep me informed about your trips. I will keep you informed. Just keep following blog. Feels good to see that the Valley of Flowers is undamaged. Also, feels good to see that things have started becoming normal in those places. I had been there just before the floods, and had the best time of my life in the Valley and Hemkund. Had met Mr. Raghuveer Chauhan too, and his experiences regarding the Valley was very useful. Fantastic pictures… Can you please post some pictures of Ghangaria also? Thanks for posting a comment. The pictures of Ghangaria are not posted as it is in the same condition and absolutely no damage is done to it. So I also did not clicked much pictures of Ghangaria. But a metallic bridge is washed of just near to Ghangaria towards Hemkund Sahib. You can see that spot in a picture, some Sikh people are going to Hemkund Sahib on ponies. Yes Mr Raghuveer Chauhan is very nice and experienced person. I am very glad to see intact Valley of Flowers through your photos. Credit goes to those all who have rebuilt everything. Names of them may not appear anywhere. Our thanks to all involved. But a caution note. Preserve nature and honor it by observing simple rules. It will give you abundance. Once again thanks Devkant for the post. Thanks for following the blog. 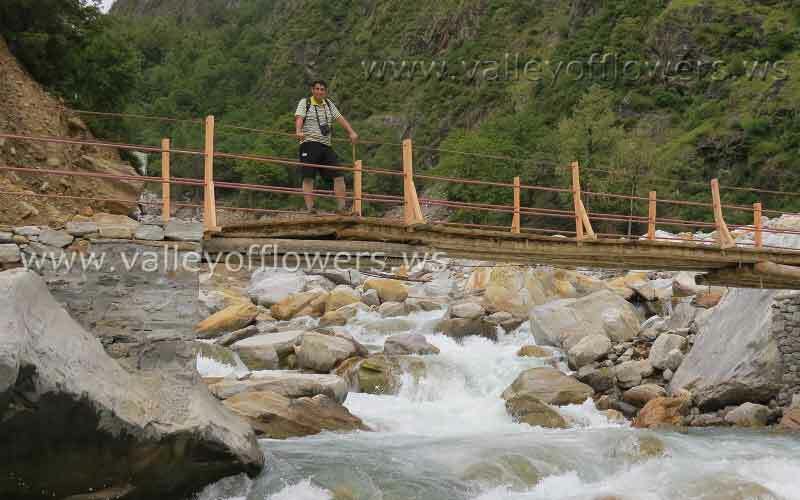 I am also happy to see the Valley of Flowers intact after the floods in Uttrakhand. All the best for our trip to the valley next year. Thanks for the Diwali Wishes and posting a beautiful comment. I will be printing some 200 banners next year for educating people against plastic in the area. Hopefully it will work. I talked to local NGO regarding this. They are ready to help me. I know that if we do not get up now the disaster may repeat.